Arrive in Nairobi, Kenya's vibrant capital. You'll be met by a local Lion World Travel representative and escorted to the deluxe Stanley Hotel which recalls the graceful era of Victorian elegance. 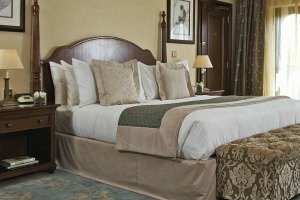 Today, Sarova Stanley's heritage character is preserved whilst offering modern hotel services and amenities to create Nairobi's most special city hotel experience. Guest rooms offer a blend of Victorian elegance with antique furnishings and restored period details, combined with all the practical, executive amenities of the modern age. Drive to your hotel situated in the shadow of Mt Kenya. Located on the plains below Mount Kenya, in the centre of the Ol Pejeta conservancy, Sweetwaters Tented Camp offers luxury tented accommodation and amazing wildlife viewing. The camp is built around a watering hole where animals regularly come to drink and graze. The conservancy carries one of the highest wildlife densities in Kenya guaranteeing an unforgettable safari experience. The reserve boasts many conservation efforts, with the largest black rhino sanctuary in East Africa, as well as the only chimpanzee sanctuary in Kenya. 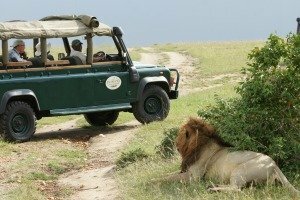 Enjoy early morning and afternoon game drives. Ol Pejeta is home to the “Big Five” and in an attempt to ensure some connectivity with the greater Liakipia landscape, there are corridors along the Conservancy’s northern boundary ensuring free movement of all animals, especially the large herbivores such as elephants. 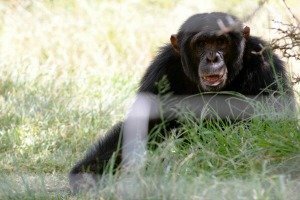 Highly recommended is an optional visit to the Chimpanzee sanctuary. After breakfast you will drive a short distance to Mount Kenya Safari Club situated in the shadow of Mt Kenya. One of the world’s highest National Parks, Mount Kenya is an extinct volcano some three and a half million years old. The iconic Mount Kenya Safari club is set in over 100 acres of landscaped gardens, and is a winner in the 2013 Travellers Choice Awards. Originally the retreat of movie star and Club founder, William Holden, the Club's illustrious former members have included Winston Churchill and Bing Crosby. There are many recreational activities available: horseback riding, golf, swimming, an animal orphanage and much more. Relax and appreciate the superb setting, the numerous activities and outstanding cuisine. This is a perfect respite between days spent game viewing. After breakfast transfer to Nanyuki Airstrip for your scheduled flight to Maasai Mara. Upon arrival you will be met by the local camp driver guide and transfered to your camp with a game drive en route. Overlooking the Talek River Rivers, at the very confluence of the Mara’s four game-viewing areas, Mara Intrepids enjoys one of the most spectacular locations in the world’s best-known wilderness. Open sided jeeps afford the opportunity for the beast animal views and photo opportunities. 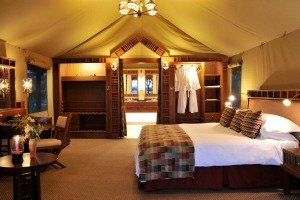 Luxury tents feature four-poster king size beds and have been recently refurbished to accommodate the modern, discerning safari traveler. 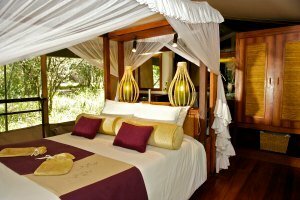 The tents are large and spacious with private verandas to enjoy the views of the Mara. It's luxury in the wild. Relax over lunch and then venture out on an afternoon game drive. Day spent game-viewing in the reserve. With morning and afternoon game drives, you have ample time to discover all that this globally famous wilderness has to offer. A pristine wilderness of haunting beauty, it promises it's visitors a profusion of wildlife, prolific bird life and the unprecedented opportunity of catching up with all the members of the 'Big Five' in one morning! Prices are in US Dollars and are per person based on double occupancy accommodations, and include regional flights only.